Posted April 18th, 2019 by Berkley Design Professional & filed under BDP Blog, Featured, News Releases. Carmel-by-the-Sea, CA (April 15, 2019) – Andrew D. Mendelson, FAIA, senior vice president, chief risk management officer at Berkley Design Professional, a division of Berkley Alliance Managers, a Berkley Company, will address Building Information Modeling (BIM) issues and best practices at the American Council of Engineering Companies (ACEC) 2019 Annual Convention & Legislative Summit to be held May 5 – 8, at the Marriott Wardman Park in Washington, D.C.
Posted August 1st, 2018 by Berkley Design Professional & filed under BDP Blog. From Scope Creep to Profitability: Managing Change, Risk, and Your Client’s Expectations Change challenges the basic premise of project management: the control of resources to meet a certain objective by a specific date within a finite budget. Scope creep happens when there is an expansion of services provided without a corresponding increase in the design professional’s fees or recognition of additional risk exposure. The good news is that while change is inevitable, scope creep is not. This workshop will help you learn the triggers for change and how to manage the change process to prevent claims, maintain your client relationships, and stay profitable. 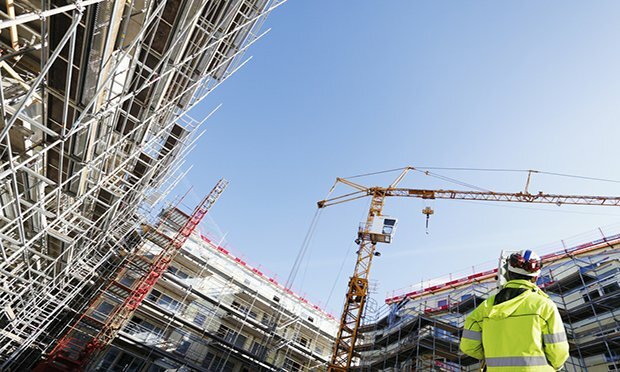 Identify potential risks in reduction of professional services in construction documents and construction administration, as well as increased risk exposure due to expanded scopes of service. Posted April 12th, 2018 by Berkley Design Professional & filed under BDP Blog, News Releases. Walter J. Adams, Jr., vice president and senior claims examiner at Berkley Alliance Managers, a Berkley Company, will discuss the latest Trends in Construction Litigation at the DRI Construction Law Seminar to be held April 25 – 27, 2018 at the Hilton Nashville Downtown in Nashville, Tennessee. During the April 26th panel, Adams will examine the cost and scope considerations relating to e-discovery and the litigation issues surrounding liability for construction data breaches, cost considerations and the use of drones. He will be joined by Brian C. Lopez of the Lopez Law Group PLLC and Rachel C. Engelstein of Standard Industries Inc.
Adams handles claims for Berkley Construction Professional and Berkley Design Professional. He has nearly two decades of experience handling Architects and Engineers and Contractor’s Professional Liability claims at leading insurance carriers as well as litigating professional, general, environmental and construction liability cases at various New York-based law firms. For more information on Berkley Alliance Managers please visit www.berkleyalliance.com.